We originally published this post a couple of months ago, but it seemed like a good idea to share it again with the release of Advanced Warfare. Enjoy (and remember: it’s supposed to be fun!). 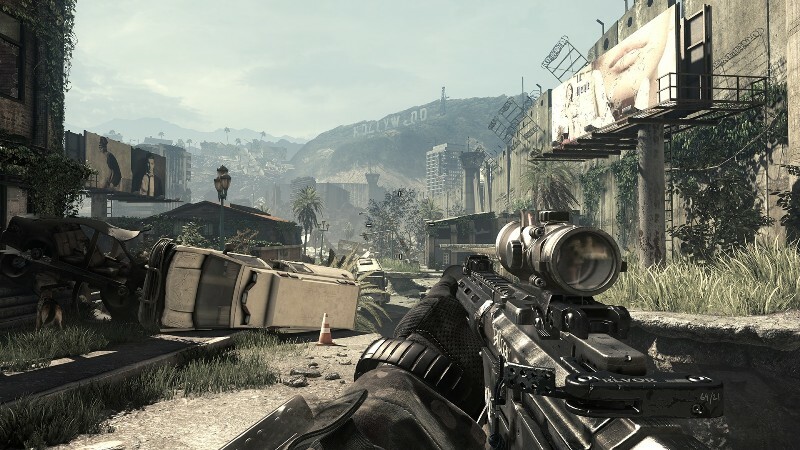 Call of Duty is nothing short of a global phenomenon, with over 139,600,000 copies of the various games in the franchise sold worldwide (and countless more thanks to the release of Advanced Warfare). But not everyone has caught COD-mania. Some of us are terrified of being berated by squeaky-voiced but foul-mouthed teammates. Others might worry about not knowing the difference between an M16 and an SMG. It may even be that we’re just rubbish at the game (despite buying every game since Modern Warfare *coughcough*). Even though it might look like a bunch of soldiers running around shooting each other indiscriminately, Call of Duty is actually a very tactical game which requires a lot of forethought. The best way to get a tactical advantage is to learn the maps off by heart. So, every time you get a new map, spend some time exploring and finding choke points, sniping positions and so on. It doesn’t matter if you get killed a lot, as the knowledge you gain will help ramp up your K/D ratio later on. If you can’t be bothered to explore yourself, check out the Call of Duty wikia for top-down views of every map in every Call of Duty game. Camping is by far the cheapest (and thus most-abused) tactic in Call of Duty and its not hard to see why: it’s easy, you don’t get killed very often and you’ll usually rack up quite a lot of kills too. Unfortunately, it’s a fast track to being shunned by every other gamer on the planet. As tempting as it might be, camping is boring and actually stops you from learning how to play the game properly too. Don’t do it, kids. Everyone who plays Call of Duty has been abused at some point, whether it’s for being rubbish, stealing a kill or generally existing in the vicinity of the one of the many angry young men who play the game. Needless to say, you should be prepared to be called every name under the sun over the course of your COD career. Don’t get upset, don’t fight back; just keep on going. Be warned: some COD players are extremely creative with their insults, so it might be worth researching a few more obscure terms (Urban Dictionary is a good start) before venturing out into a game of Team Deathmatch. Conquering Call of Duty is as much a journey of self-discovery as it is learning how to shoot people in the face efficiently. Take time to experiment with different weapons, attachments and tactical weapons and find a style that suits you (by which we mean ‘makes you an unstoppable killing machine’). This also includes creating ridiculous clan tags and choosing the most ridiculous red-dot sights possible so people feel silly when you kill them (eventually). COD videos are 10-a-penny on YouTube, but some of them are actually pretty good. Check out best kills compilations and amazing kill counts and study them, young padawan; you’ll pick up loads of great tricks and techniques (and maybe some creative insults too). Combat Training is basically like riding a bike with stabilisers; while you’re performing all the motions you would in a normal game of COD, you’re actually in no danger because you’re playing against AI opponents instead of enraged 15 year-olds. It’s the best way to get good without irate teammates screaming you down for getting killed so often. Have you got any top Call of Duty tips to share with your fellow gamers? Let us know in the comments.